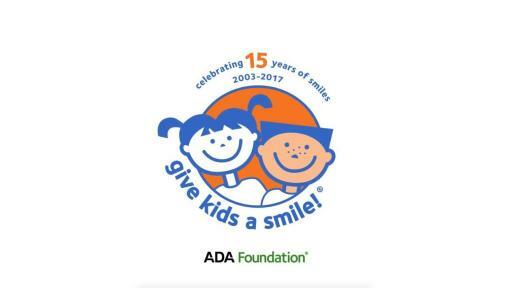 COLUMBUS, Ohio, February 1, 2018 — The Ohio State University College of Dentistry announced that it will provide free oral health care to hundreds of local children in need tomorrow as the host of the ADA Foundation’s 2018 Give Kids A Smile (GKAS) program national kickoff event. 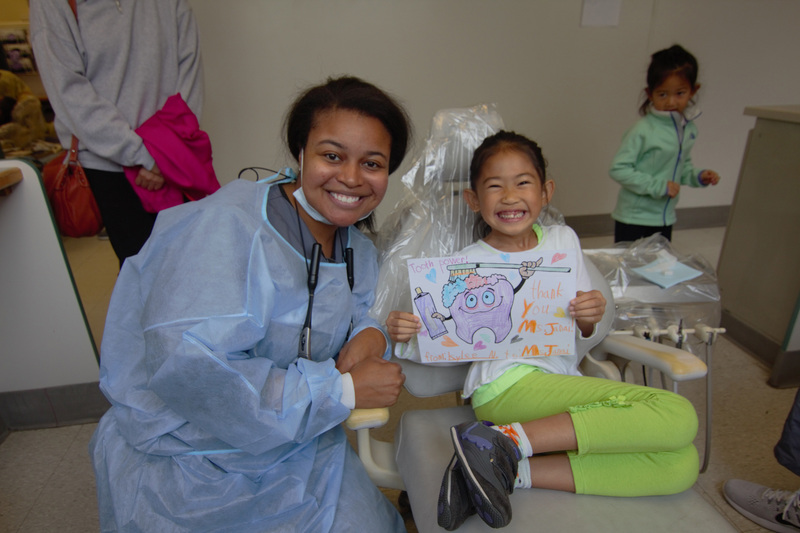 Kids participating in Ohio State’s student-led initiative will receive free dental exams, cleanings, extractions, fillings, crowns, and education on how to maintain good oral health. More than 5.5 million children have received free oral health services through Give Kids A Smile since the program’s inception in 2003. 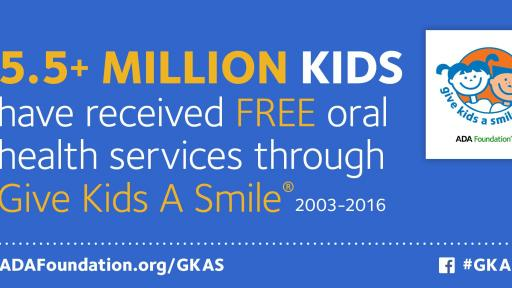 In 2018 alone, nearly 300,000 children in need across the U.S. will receive free oral health services including oral health education, screening, preventive care, and restorative treatment from 6,500 volunteer dentists and 23,000 other dental team and community volunteers during more than 1,300 GKAS events. GKAS events range from those similar to Ohio State’s which provide services to hundreds of children in a day, to individual dentists providing pro-bono oral health services and a dental home to one or several children under the GKAS banner. 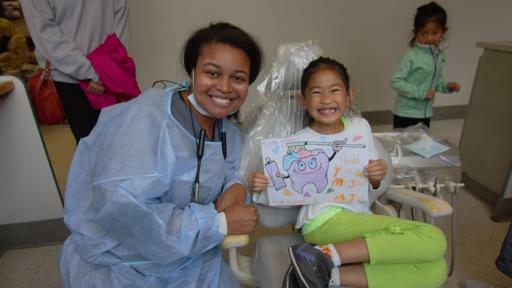 The Ohio Dental Association helps GKAS program coordinators plan and promote their events; in 15 years of GKAS, Ohio dental volunteers have provided more than $13.5 million in dental care to more than 250,000 underserved children. The program would not be possible without the support of its generous sponsors, including Henry Schein, Inc., which has served as the program’s official products sponsor since 2003. Since the program's inception, Henry Schein, together with its supplier partners, has donated more than $16 million in oral health care products used to provide free care to millions of participating children. Henry Schein provided an additional donation of oral health supplies to Ohio State worth more than $18,000 in recognition of its role as host of this year’s national kickoff event. Ohio State has held GKAS events twice annually since 2012, providing care for more than 1,100 children throughout Ohio and providing more than $318,000 in treatments. 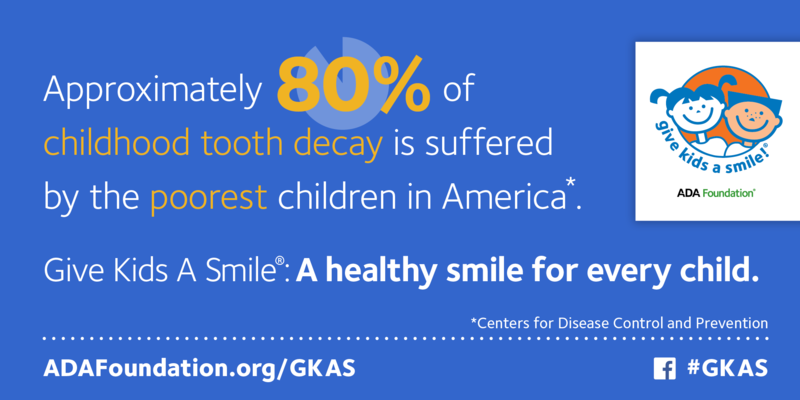 For more information about how Give Kids A Smile programs are organized across the country, please visit ADAFoundation.org/gkas. 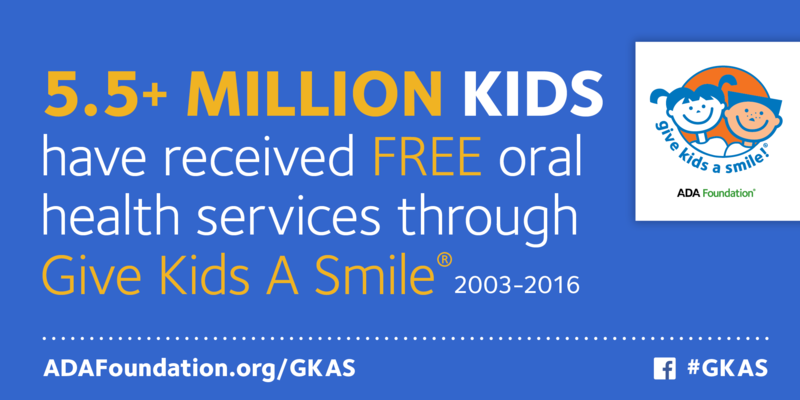 For more information about Give Kids A Smile programs taking place in your area, please call Give Kids A Smile at 844.490.GKAS (4527) or contact your state or local dental association. The ADA Foundation’s website offers additional resources to help find free or reduced-cost dental care for children. 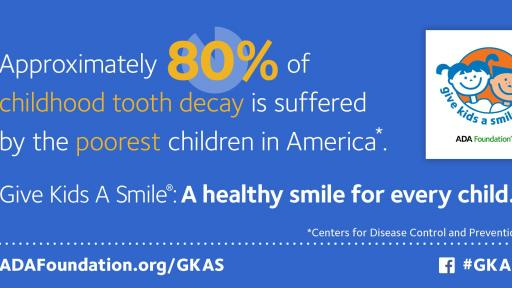 Give Kids A Smile is also the anchor event of the ADA’s National Children’s Dental Health Month. To learn about mouth healthy habits, please visit MouthHealthy.org, which features fun quizzes, slideshows, videos and articles about dental health topics for every age and stage of life. As dentistry's premier philanthropic and charitable organization, the ADA Foundation is a catalyst for uniting people and organizations to invest in better oral health for all, together. The ADA Foundation annually provides more than $2 million in grants, scholarships, awards, and facilitated in-kind product donations to programs that are in alignment with the organization’s efforts to advance oral health, expand access to dental care, and drive game-changing research. 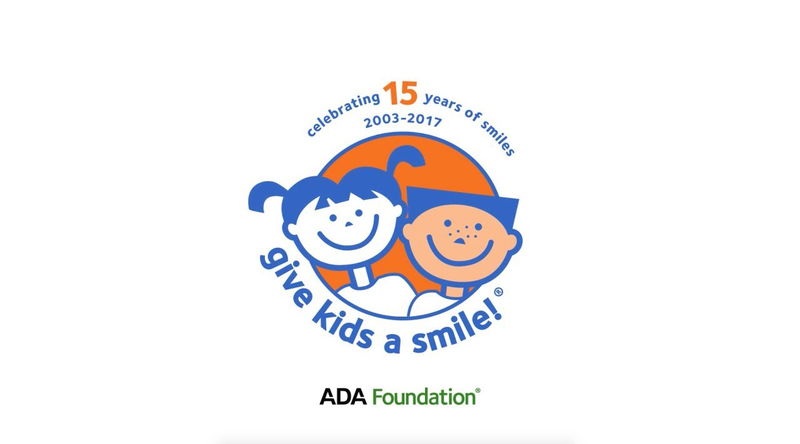 As part of these efforts, the ADA Foundation oversees the Give Kids A Smile® program and also oversees the ADA Foundation Volpe Research Center in Gaithersburg, Maryland (formerly the Paffenbarger Research Center). For more information about the ADA Foundation, visit www.adafoundation.org. The College of Dentistry is the fourth largest public dental school in the United States and consists of ten academic divisions representing all major dental specialties. The divisions offer both patient care services and academic programs, allowing dentists to train as specialists. The college’s Outreach and Engagement activities include over 32 outreach sites, which allow fourth-year dental students to provide dental care to underserved Ohioans in counties across the state. The College of Dentistry provides comprehensive patient care in an unparalleled learning environment with internationally recognized faculty and a supportive network of alumni and friends. For more information about the College of Dentistry, visit www.dentistry.osu.edu.